The rests between notes make the music. 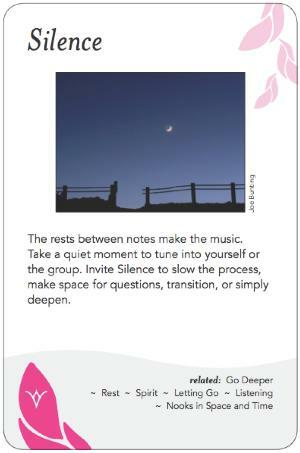 Take a quiet moment to tune into yourself or the group. Invite Silence to slow the process, make space for questions, transition, or simply deepen. if silence happens unexpectedly, how go with it? maybe do random web search on term . . .